Hugh is the Partner responsible for Nexia Edwards Marshall's Forensic Accounting division. Hugh is best known for his work as an independent accounting expert, particularly relating to economic loss and business valuation, with extensive experience in family law business valuation and investigation. 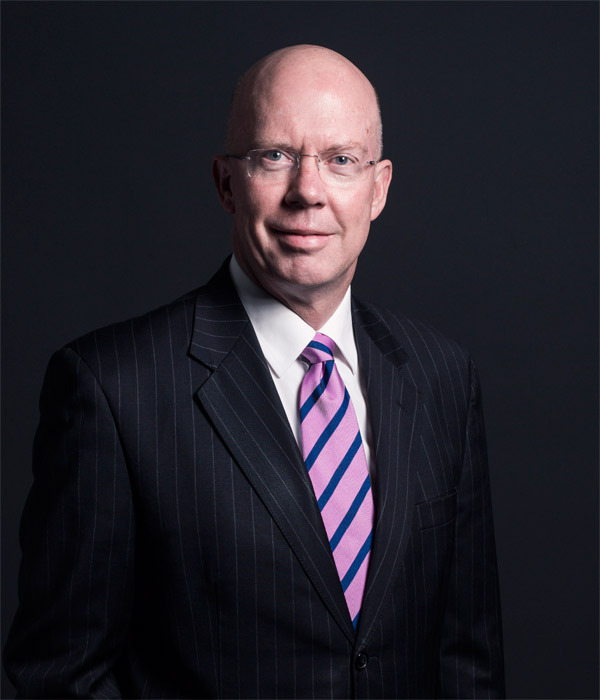 Hugh is a long standing contributor to the Australian accounting profession through his involvement in the activities of Chartered Accountants Australia and New Zealand and CPA Australia, and the legal profession through the Law Society of South Australia, Family Law Committee. Hugh is a recognised specialist in the provision of business valuation services, particularly for the purpose of matrimonial settlements. Hugh specialises in the valuation of closely held enterprises, particularly, professional services enterprises, and minority interests. Hugh has been engaged in a significant number of litigation support assignments, primarily in connection with the assessment of damages and claims for economic loss arising from loss of a chance. Hugh’s evidence as an independent accounting expert has been accepted in the Federal Court of Australia, the Family Court of Australia, the Federal Circuit Court of Australia, the Supreme Courts of South Australia and Western Australia and the District Court of South Australia. Hugh holds a Bachelor of Arts in Accountancy from the University of South Australia and is a Fellow of Chartered Accountants Australia and New Zealand and CPA Australia. Hugh is an accredited Business Valuation Specialist and Forensic Accounting Specialist of Chartered Accountants Australia and New Zealand. Hugh is a member of the Australian Restructuring, Insolvency & Turnaround Association and is an ASIC Registered Company Auditor and Registered Liquidator. High is an Authorised Representative of Edwards Marshall Advisory Pty Ltd (AFS Representative Number 001241756). Hugh is a consultant to the Family Law Committee of the Law Society of South Australia and a member of the National Business Valuation Committee of Chartered Accountants Australia and New Zealand. Hugh has received awards for service from Chartered Accountants Australia and New Zealand and CPA Australia. Some of Hugh’s greatest successes have arisen in matters in which disputes have been able to be resolved, rather than the parties becoming embroiled in ongoing expensive and protracted litigation. Hugh considers that meeting with the parties, particularly in matrimonial property valuations, can lead to greater understanding and fair recognition of the value of property in respect of which the parties have an interest. Retained by a leading manufacturer of rooftop air conditioners in connection with a large product liability claim. In conjunction with a marketing expert, Hugh’s opinion of loss was accepted by the Federal Court, leading to a substantial award of damages. Periodically values the share capital of a South Australian based professional services firm, pursuant to annual Shareholders’ Agreement obligations. These assignments bring special challenges because of the changing dynamic of financial performance, capital structure and underlying economic conditions. Valued minority interests in South Australian based unlisted public companies, including a large hills-based hotelier, leading motor vehicle retailer and a large fresh produce processor. In one case, Hugh’s valuation played a part in the rationalisation of the group’s underlying property interests and the resulting return of underlying value to all shareholders. Valuations of illiquid minority interests bring special challenges concerning the likelihood of future uncertain events. Acted for leading South Australian primary producers in connection with claims against the State Government arising from the compulsory acquisition of land. The outcome of these matters was the acquisition of land by the State of South Australia at prices which reflected the value of that land to the current land owners. Acted in a range of matters involving claims for loss of a chance arising from claims in contract, pursuant to the Trade Practices Act, and in tort. Hugh’s expertise in these matters particularly relates to his capacity to interrogate and describe financial data from which rational conclusions are drawn, and produce written opinions which fairly and comprehensively describe and measure the merits or deficiencies of a claim. Appointed by the Federal Court as the liquidator of United Investments Trust, an unregistered managed investment scheme, following the loss of several million dollars in unit holder’s funds. After extensive investigation, Hugh effected a return to unit holders from the proceeds of actions brought in his capacity as liquidator against parties who had acted against the entity’s interests. Hugh is a Registered Company Auditor. Hugh’s audit experience includes the full range of assurance services, including consideration of issues relating to the giving of audit opinions, planning, supervising and carrying out audit-related tasks. Hugh has been engaged in due diligence investigations for potential purchasers of businesses. These assignments have also been of a range of sizes, from the sale of assets of the State of South Australia to the sale of medium-sized businesses. Hugh also has extensive experience in financial reconstructions and investigations for the purpose of establishing evidence of transactions. Hugh’s experience in this field has included major corporate entities where a fraud has been alleged and in the matrimonial property context where a failure to disclose has been alleged. Hugh has acted as funding controller of indigenous communities. Hugh has a particular interest in ethical issues affecting accountants in public practice. Hugh is a registered company liquidator and has experience in Court appointed liquidations, receiverships, voluntary administrations, creditors’ voluntary windings up and members’ voluntary windings up. With input from the firm’s tax experts, Hugh specialises in tax-effective restructuring and windings up. Hugh has experience as a probity adviser for government and non-government building and resource based contracts and activities.